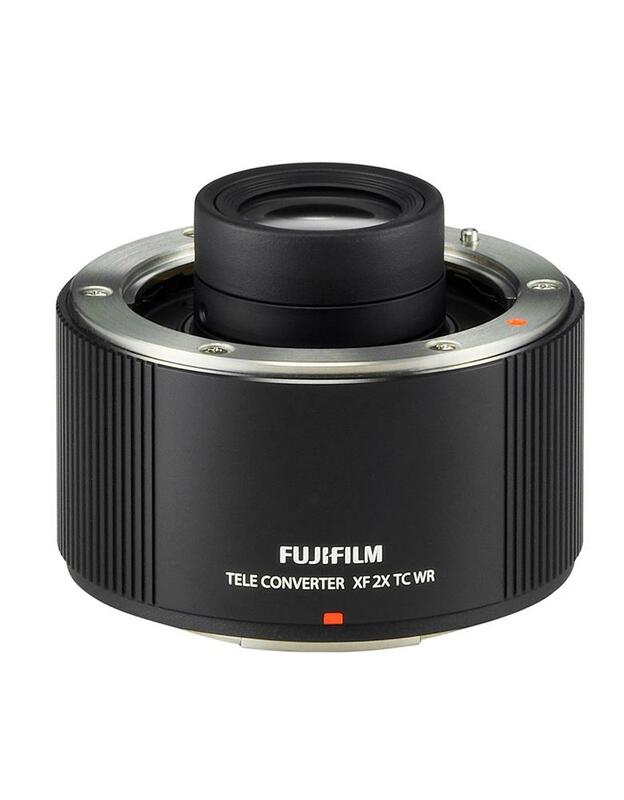 The FUJINON TELECONVERTER XF 2X TC WR is a high-performance teleconverter capable of multiplying the focal length of mounted lenses by two. It features excellent optical design with a construction of 9 elements in 5 groups to maintain the optical performance of the original lens. Also, thanks to the unified design when mounted to a compatible lens, the teleconverter is weather and dust-resistant and operates at temperatures as low as -10 degrees C. This makes it possible to be used with confidence outdoors when used with the weather and dust-resistant X-T1 and X-Pro2 camera bodies, and the XF 50-140mm F2.8 R LM OIS WR and XF 100-400mm F4.5-5.6 R LM OIS WR lenses. Phase detection AF is still available when using the XF 50-140mm F2.8 R LM OIS WR with the 2x teleconverter mounted. Contrast Detection AF is still available when using the XF 100-400mm F4.5-5.6 R LM OIS WR with the 2x teleconverter mounted. Accurate focusing at super-telephoto focal lengths with shallow depth of field is possible thanks to the AF performed by the image sensor thanks to mirrorless cameras' "Live View". The camera's optical image stabilization performance is unaffected by the addition of the teleconverter. Using the teleconverter with a weather-resistant camera, such as the FUJIFILM X-T1 or X-Pro2 mirrorless digital camera and the FUJINON XF 50-140mm F2.8 R LM OIS WR or XF 100-400mm F4.5-5.6 R LM OIS WR lens does not affect the weather resistance of the system.